| A democracy of course! . . . But how good? A democracy of course! . . . But how good? We Cubans know that we want a democracy, and from now on we must chart the course for it to be one that we can be proud of, because not all democracies are of the same quality. There are countries that hold elections to decide who will govern them, yet also suffer poverty, injustice and violence in the streets. Is the ability of the people to vote enough to make a nation great? Many believe that because democracy coexists with hunger in poor countries, democracy is insufficient to solve the problems. The 2013 survey by Latinobarómetro* found that 19.2% of Latin Americans had no preference between a democratic or an undemocratic regime. Another 14.9% believed that in some circumstances an authoritarian government can be preferable to a democratic one. This skepticism runs throughout the Third World. But instead of renouncing democracy, it is necessary to differentiate its forms and focus on building better ones. This has worked for the most developed nations, due to their having higher quality standards. Mikel Barreda, a professor at the University of Catalunya, conducted a study to measure the quality of democracy in 19 Latin American countries. He found Chile, Uruguay and Costa Rica are the countries with the highest quality of democracy in the region. What defines the quality of a democracy? Political rights and civil liberties are fundamental. 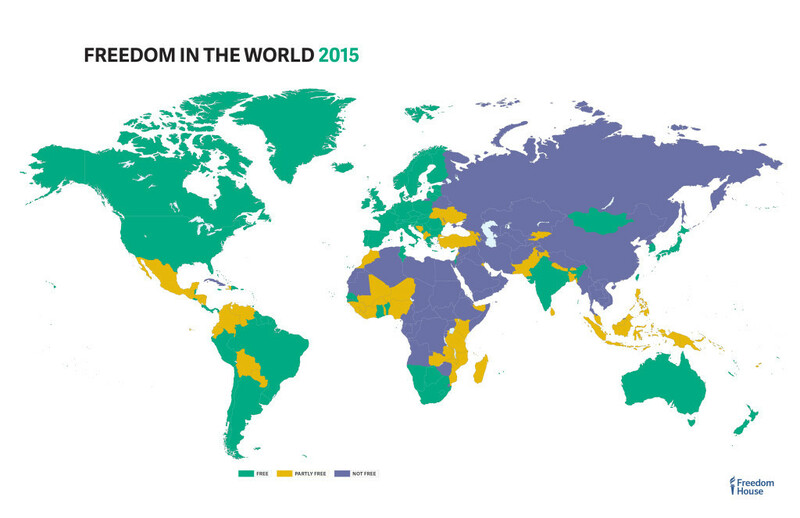 According to the reports of Freedom House, Europe ranks in first place in terms of freedom, with 86%, and the Americas in second place, with 71%. Satisfaction with the system, and electoral participation, are critical factors; democracies where most people vote are better qualified. The turnout defines how included citizens are in the decisions of their governments. Corruption and abuse of power seriously degrade societies, so mechanisms for accountability are essential. Institutions are needed that excercise political control over governments and oversee their management. There is also vertical accountability. The press, citizens, and NGOs can make demands regarding the responsibilities of governments. So an underlying assurance remains that if the institutions are corrupt or unresponsive, the citizens can bring about justice. How can we achieve a democracy of high quality for Cuba? The literature on this topic is extensive, but clearly certain factors play crucial roles in determining the democratic quality of a country. Freedom of expression and civil rights are essential to ensure the proposal and debate of ideas. No ruler, doctrine, or thought can be shielded from discussion. It will always be possible to reform what is wrong, to improve what should be changed. The countries that often lead the worldwide democracy indexes are Scandinavian: Norway, Sweden, and Denmark. Without obstructing freedoms they have facilitated the greatest possible equality among their citizens. Without major differences in political and economic power, democracy manages to be more equitable. When the interests of the people are more connected they often find common ground. Empathy and compromise flow in the debates. Institutions should provide spaces for the spectrum of all political and social positions, ensuring the possibility of fair participation and competion in elections. We also need a system of solid parties, that is, parties strongly institutionalized, with a vision and a commitment to the long term. This way there can be an effective accountability of work done by civil servants, because the parties assume responsibility to the voters. We will have to work hard to create the institutions we want, so that it is not an isolated democracy, made for the elites. It must be built with the participation and opinions of all. We cannot repeat the history of other countries that imported their democracies without having the foundation of a political culture to support them. We have to build it ourselves, with the acceptance and commitment of everyone, with their colors and differences . . . a Cuban democracy. *A public-opinion survey of 20,000 people in 18 Latin American countries. The survey is on-line here.